Arctic-ice signs for 2018 FLW Tour and Redfish Tour seasons. Not only have I had the coldest cooler and drinks for the past few years, but I have been blessed to represent one of the best companies and products in the outdoor industry. It's always rewarding when you can represent a quality company and above quality products that make sense. Arctic-ice has been the one thing that never changes inside our coolers as we travel throughout the United States. With three different applications Arctic-ice keeps food fresh, drinks cold and your frozen goods frozen for when you need them. Our family are huge popsicle consumers. I don't know another product in the industry that will allow you to take popsicles on a boat for hot day of fishing. The Arctic Ice Tundra series does exactly that and more. Our boat cooler on a hot florida summer day. I am looking forward to another great year with Arctic-ice in 2018. 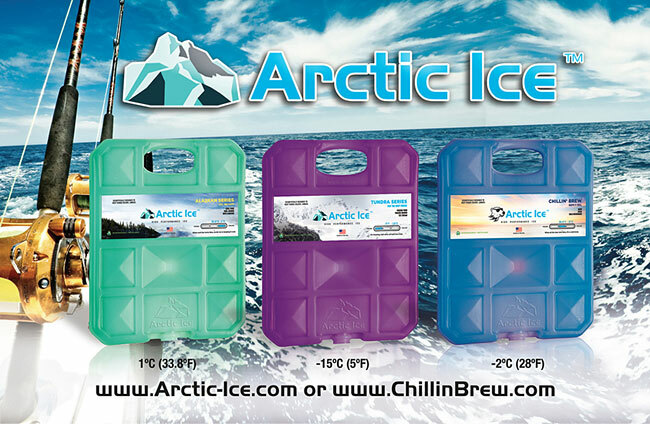 Thank you Arctic Ice for your continued support. Central Florida Fishing report - "Catchin' with Captain Blake"